Life of a Catholic Librarian: Tea Time with Tiffany #100 - A milestone! Today we wax nostalgic a bit, I cry about Anne finishing Kindergarten, and we try out our new segments for the first time! On my Bookshelf - The Chamber of Secrets (Harry Potter book 2), Murder Served Simply: An Amish Quilt Shop Mystery (book 3). So what's going on with you? 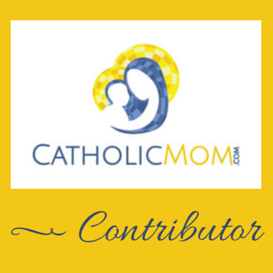 Books, prayers, crafts? Prepping for the Summer Book Club? I'd love to hear from you! I really like the segments! I'm also still plugging away at that Civil War series, The Appomattox Saga. I'm about to start book 10. I started an Amish fiction yesterday that I grabbed from the library. Oh, and I'm working my way through Emma. 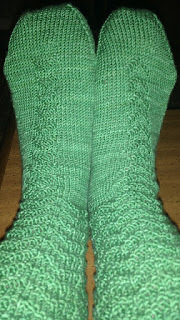 Creative - I love the color of those socks! No crafts happening over here. The green is very springy, isn't it? ;-) I love reading multiple books at a time. Sometimes you just are in a mood for a particular thing, and later, you're in the mood for something else! Sorry for the late reply, but huge congrats on your 100th episode! Love the segments (and the socks)! I read the Harry Potter series a few years back -- great books all around. Also, I'm sure it's even better to read them together with your son. 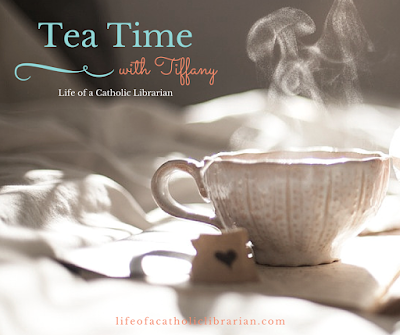 Here's to 100 more Tea Times with Tiffany! aw, thanks so much Kevin! !